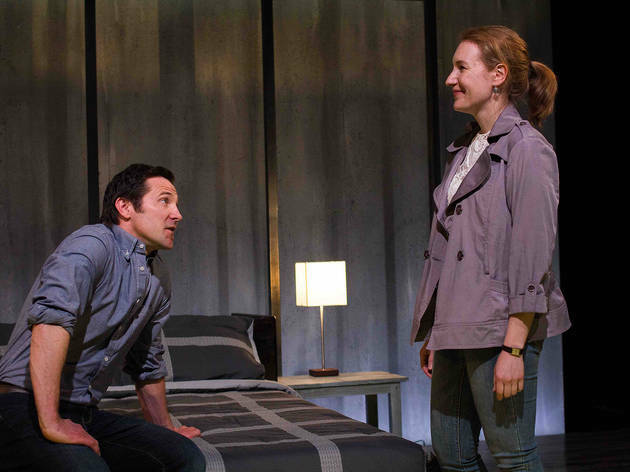 Clumsy staging and a muddled script don’t take ‘The Distance’ very far. 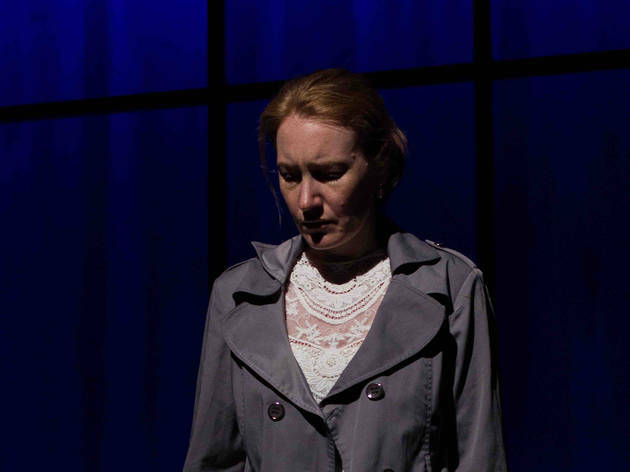 In Haven Theatre’s The Distance, Bea (Abigail Boucher) flees home to the U.K. from Melbourne, leaving her two young sons and husband behind. 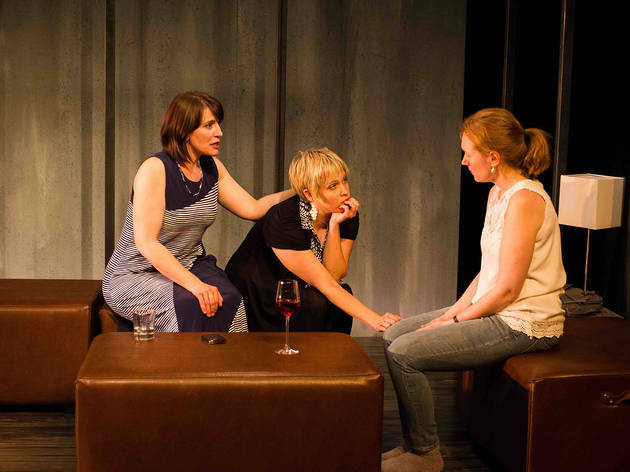 As she reconciles with the shock of her decision, she is consoled by her oldest friends, control freak Kate (a brash Megan Kohl) and lush Alex (Allison Latta), who struggle to support her. 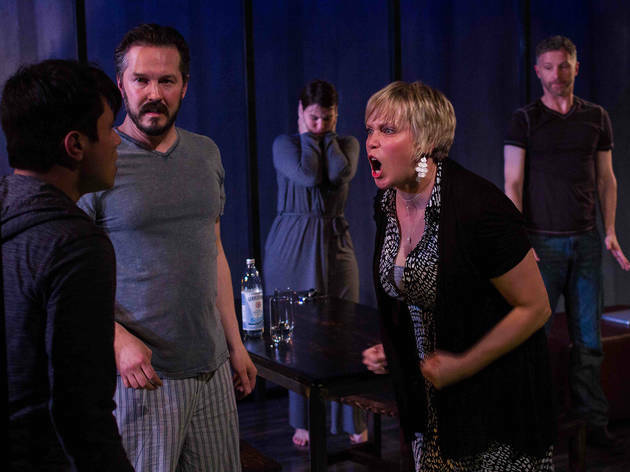 If this were a play solely about motherhood the script might have been successful. 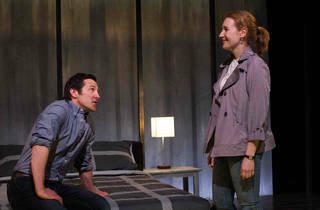 But playwright Deborah Bruce riddles the plot with disconnected threads that never pull toward a conclusion. Casual mentions of riots in the working-class neighborhood of Brixton, an abandoned child, an estranged ex-husband in Rio, et al. create a poorly conceived plot structure that results in lots of action but almost no growth from any of the characters. 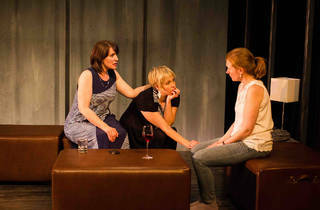 The play begins with Kate fundamentally disagreeing with Bea over the idea that a child might be better off without their mother. Two hours of conversation and chaos later, neither of their opinions has changed. 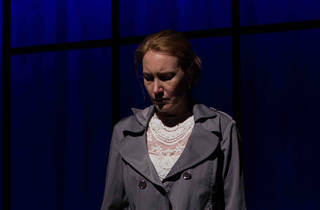 Elly Green’s direction suffers from a similar lack of clarity. Overly choreographed and surrealistic scene transitions stand in stark contrast to the realistic nature of the dialogue. Joseph Schermoly’s minimalist set is functional, but poorly utilized. Actors run in and out of the set as if the living room in which the majority of the action is set has no walls. A single location on stage is representative of interiors and exteriors within the same scene. The lack of consistency fails to ground the play in a world that feels real, making the cluttered plot line even more difficult to follow. Haven Theatre at Raven Theatre. By Deborah Bruce. Directed by Elly Green. With ensemble cast. Running time: 2hrs 10mins; one intermission.